There was a strong bond between Clizia and the city of Sanremo. 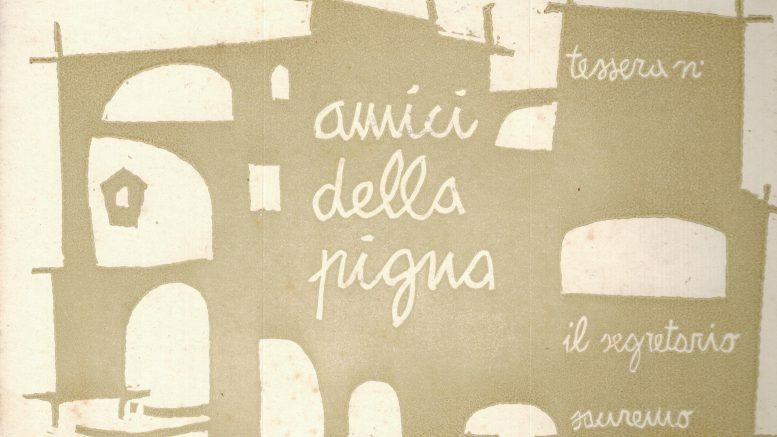 In 1957 Clizia founded the association Amici della Pigna [Pigna’s friends: Pigna is the old town]. Made friends amongst printers/typographists in Sanremo as he published a number of posters and leaflets. He held ceramics courses for two years at a local school. 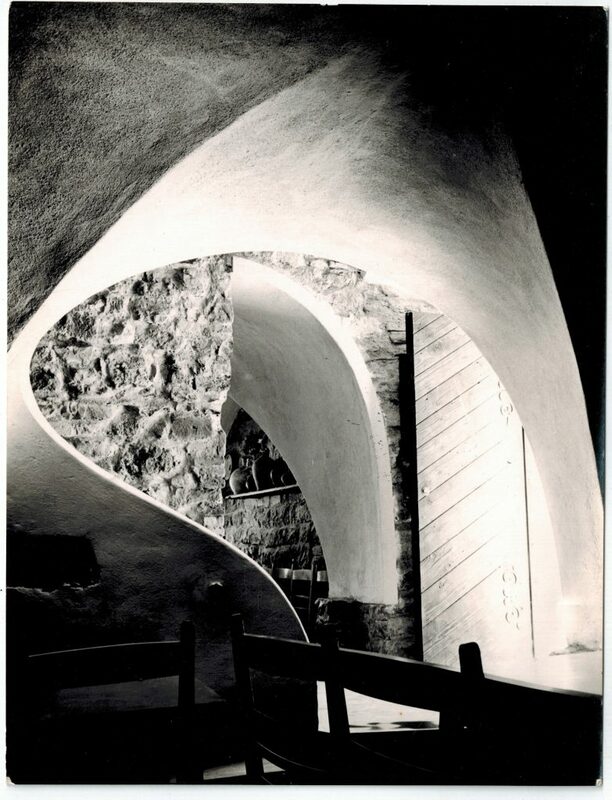 At the end of 1958, to attract more tourists to artworks, he opened the Hostaria la Pigna d’Oro in a sixteenth-century mill, which he personally managed from 1959 to 1961, and which would become the center of many events organized in those years and a welcoming meeting place for journalists, writers, painters and singers. Dozens of articles in newspapers such as “Il Giorno”, “La Stampa”, “Stampa Sera”, “Gazzetta del Popolo”, “Secolo XIX”, “Epoca” report this initiative. The enhancement of the old city, timidly started with workshops and the Hostaria, finally received the support of the tourism council and municipal bodies. Amongst the various initiatives, the “Joust of the minstrel”, was held for five years, in order to spread popular music culture. 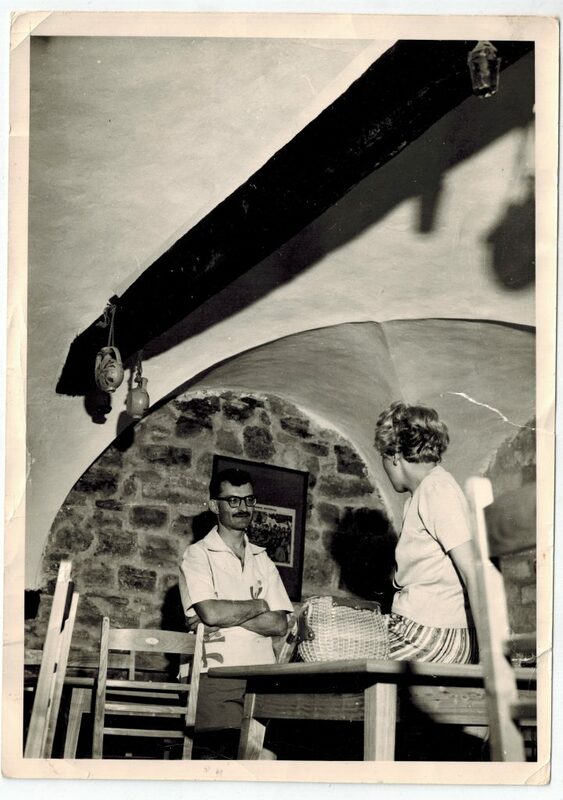 In 1961, the Festival of the Sardenaria (a focaccia with anchovies) was launched. 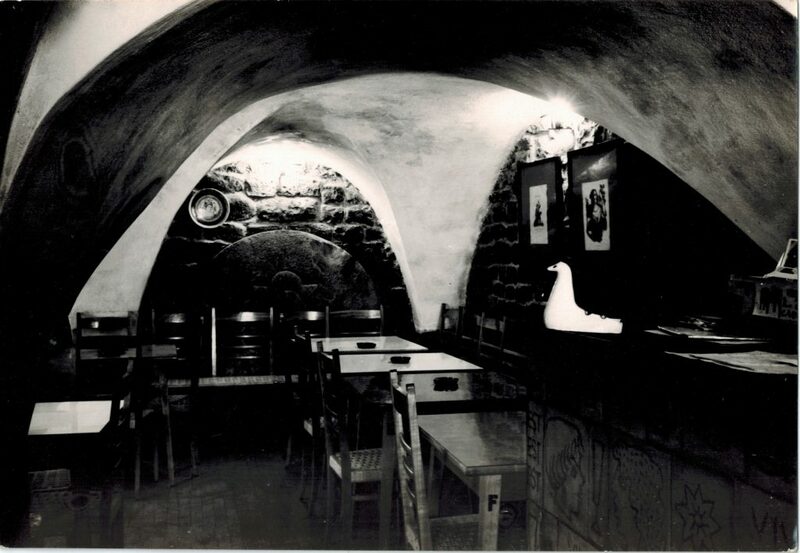 As Clizia suggested, special oven was built, which could also serve for baking pottery and educate people to craft ceramics. 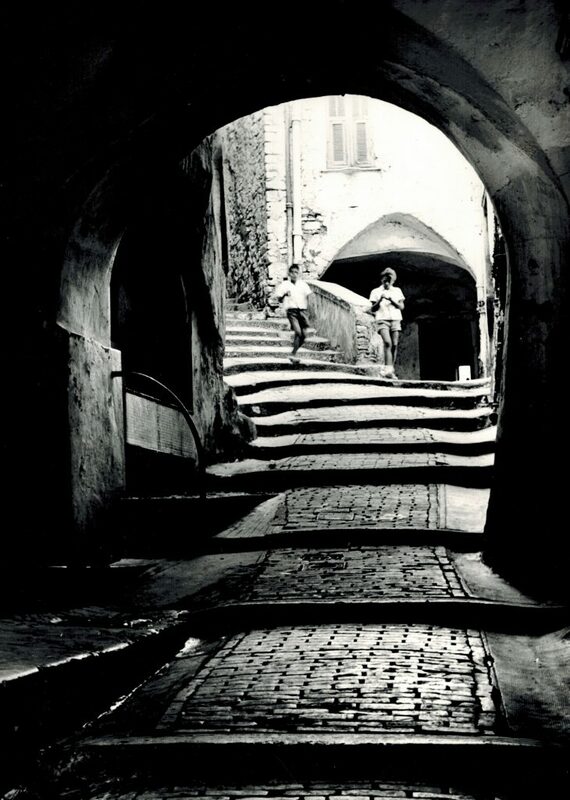 In July 1961 he began a cycle of exhibitions abroad that lead him first in Konstanz and in Lugano and in 1962 in Cologne, Düsseldorf, Würzburg, Dortmund, Iserlhon, Gemershein. 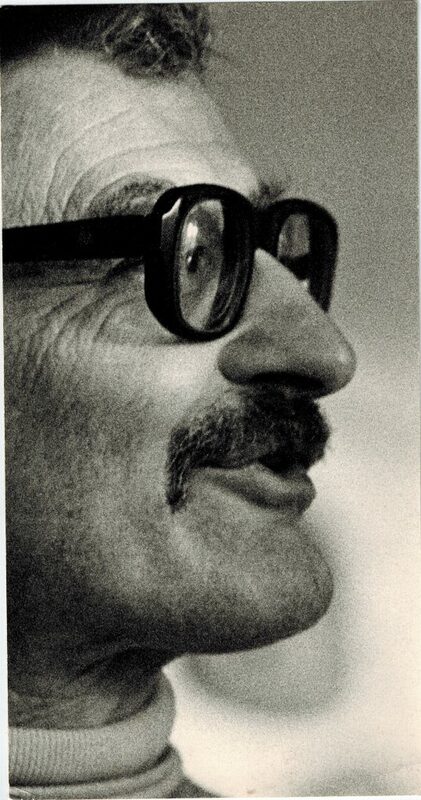 In 1962-3, back in Sanremo he helped staging night lighting of the old city with scenic effects, a painting exhibition in the Pigna and the event “put a flower on your balconies” amongst others. Perhaps the most important initiative is the setup of the “Teatro della Pigna”, premiering a show of Ruzantini. The Theater was born from a meeting with director Fabio Pacchioni and choreographer Lia Labaronne. Clizia created posters, flyers, sets and costumes. “The Shoemaker’s Prodigious Wife” by Garcia Lorca was presented in Piazza Cisterna, a fascinating show notwithstanding a very modest budget. The show would be followed in 1962 in Sanremo and nearby Imperia by “Interludes” by Cervantes and in 1963 “The Litigants” of Racine, “The Persian” of Plautus, “Bonaventura” (a famous comics character) by Sto, “Painting on wood” by Bergman. Forty linocut posters in several colors, numerous flyers and graphic publications represent the production of those years for the municipalities of Sanremo, Diano, Imperia and private collections. Since the summer of 1962, Clizia also encouraged marginal youngsters to take up original graphic and pictorial experimentation with promising results,. The work is reported in dozens of articles and the works first shown in the Pigna travelled to Germany and England, attracting interest of the public and educators. Since the early months of his stay in Sanremo, Clizia visited the surroundings and was particularly impressed by Bussana Vecchia, an abandoned town destroyed by an earthquake in 1887. It matured in him the resolve to create a community of artists in abandoned houses. To implement it, he moved there in 1961 in a house under the bell tower, where he would live intermittently until 1963. He thus decisively contributed to the birth of the Colonia Internazionale Artisti (CIA – International Artist Colony), that within a decade would be populated by over forty painters and where galleries and stores would open. Be the first to comment on "Clizia Sanremo Exhibition, 2 to 18 of August at the Casinò di Sanremo"